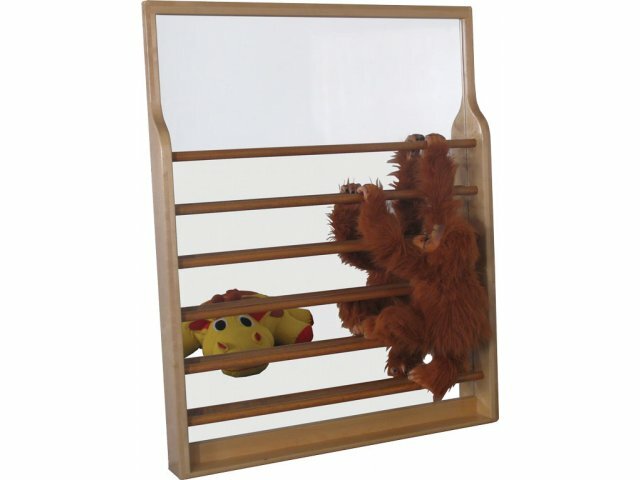 Kids love the thrill of watching themselves as they climb this Deluxe Mirror Wall Climber from Strictly for Kids. Appropriate for a wide range of skills levels, it encourages exploration, gross motor development, balance, self-awareness and depth perception. 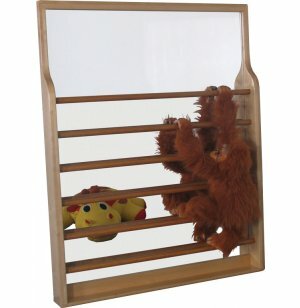 Crawling babies can use it as a support for standing and cruising, while toddlers will enjoy the excitement of moving from walking to climbing. Constructed of solid maple wood with five coats of marine-grade finish. Arrives fully assembled, ready to be attached to your wall (fasteners not included). Exceptional Durability: Solid maple construction makes these climbers unusually strong and highly durable. Safe: Fully sanded and rounded edges prevent injury. Builds Gross-Motor Skills: Promotes gross motor development, balance, self-awareness and depth perception. NOTE: This climber requires careful adult supervision. Must have a shock-absorbent safety surfacing, mat or padding (not included).